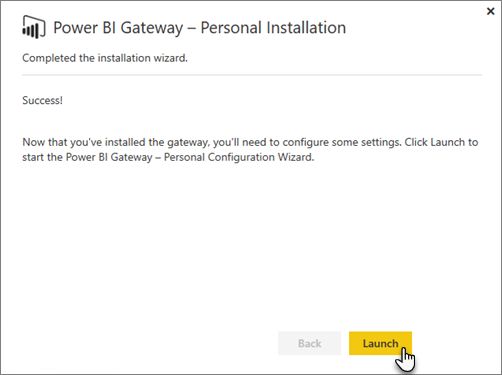 A Power BI gateway is software that you install within an on-premises network; it facilitates access to data in that network. It's like a gatekeeper that listens for connection requests, and grants them only when a users' requests meet certain criteria. This lets organizations keep databases and other data sources on their on-premises networks, yet securely use that on-premises data in Power BI reports and dashboards. A gateway can be used for a single data source or multiple data sources. The following diagram shows a basic view, with the gateway handling requests from the cloud for three on-premises computers. We'll expand on this later in the article. You can use a single gateway with different services at the same time. 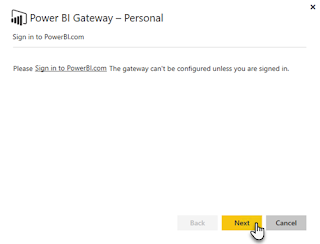 If you are using Power BI as well as PowerApps, a single gateway can be used for both. It is dependent on the account you sign in with. 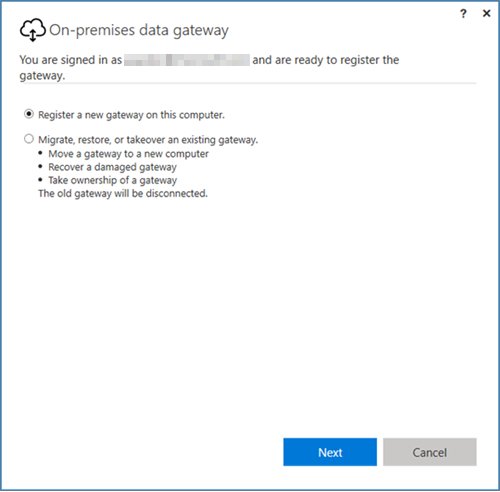 On-premises data gateway (Personal mode) – allows one user to connect to sources, and can’t be shared with others. Can only be used with Power BI. This gateway is well-suited to scenarios where you’re the only person who creates reports, and you don't need to share the data sources with others. 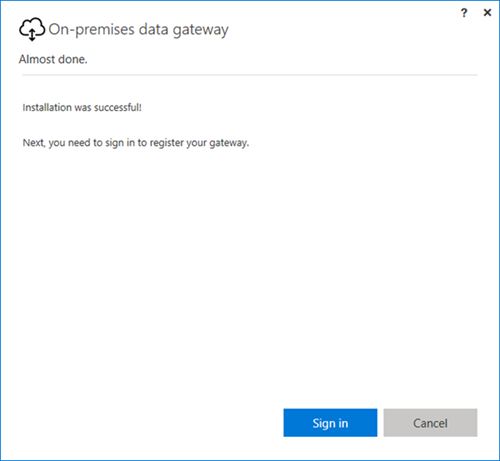 On-premises data gateway(Enterprise mode) – allows multiple users to connect to multiple on-premises data sources. Can be used by Power BI, PowerApps, Flow, Azure Analysis Services, and Azure Logic apps, all with a single gateway installation. This gateway is well-suited to more complex scenarios with multiple people accessing multiple data sources. Install the gateway on a local computer, using the appropriate mode. Add users to the gateway, so they can access on-premises data sources. Connect to data sources, so they can be used in reports and dashboards. Refresh on-premises data, so Power BI reports are up to date. You can install a stand-alone gateway or add a gateway to a cluster, which is recommended for high availability. The gateway you install runs as a Windows service, On-premises data gateway. This local service is registered with the Gateway Cloud Service through Azure Service Bus. The following diagram shows the flow between on-premises data and the cloud services that use the gateway. A query is created by the cloud service with the encrypted credentials for the on-premises data source. It's then sent to a queue for the gateway to process. The gateway gets the query, decrypts the credentials, and connects to the data sources with those credentials. The results are sent from the data source, back to the gateway, and then onto the cloud service and your server. The following are the basic requirements to install a On-Premises Gateway. If you are planning to use Windows authentication, make sure you install the gateway on a computer that is a member of the same Active Directory environment as the data source(s). You shouldn't install a gateway on a computer, such a laptop, that may be turned off, asleep, or not connected to the Internet because the gateway can't run under any of those circumstances. In addition, gateway performance might suffer over a wireless network. Analysis Services is not required to use the gateway. 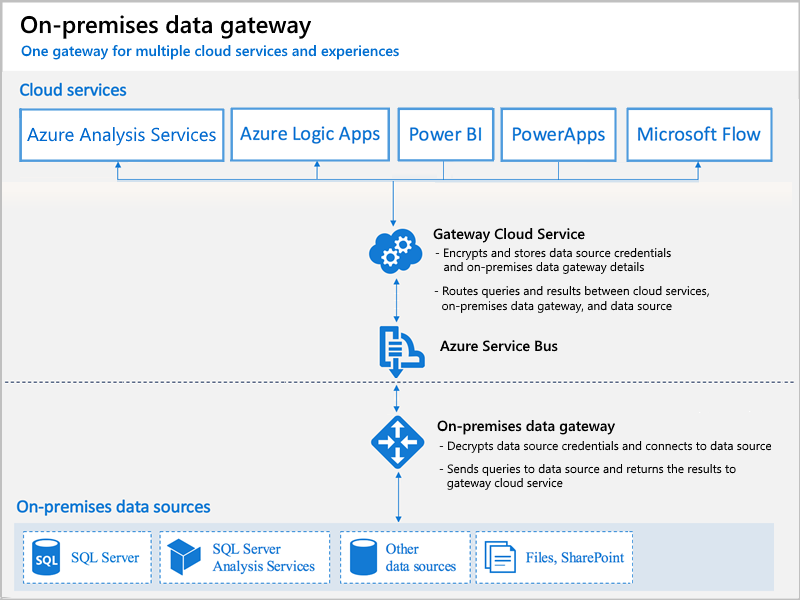 You can use the gateway to connect to an Analysis Services data source. You can use a live connection against tabular or multidimensional instances. Cell level Formatting and translation features are not supported. Actions and Named Sets are not exposed to Power BI, but you can still connect to multidimensional cubes that also contain Actions or Named sets and create visuals and reports. To download the gateway, select Data Gateway under the Downloads menu. 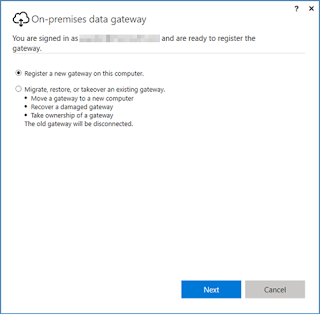 Download the On-premises data gateway. 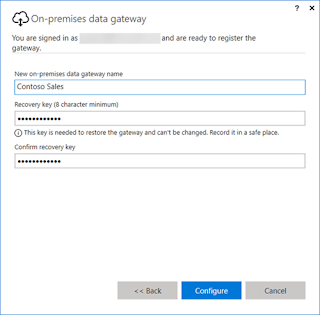 Note that updating the On-premises data gateway is achieved by reinstalling the gateway, as described in this section. When updating the gateway (by reinstalling), your existing gateways settings are retained. 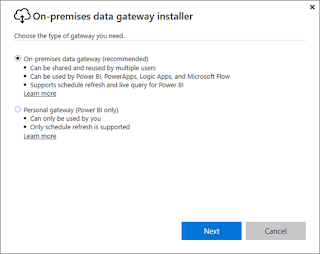 On-premises data gateway(Personal Mode): This is for Power BI only and can be used as an individual without any administrator configuration. This can only be used for on-demand refresh and schedule refresh. This selection launchs installation of the personal gateway. you can install up to two On-premises data gateways on the same computer, one running in each mode (personal and standard). you cannot have more than one gateway running in the same mode on the same computer. The data gateway installs and runs on your computer. It is best to install the gateway on a machine that can be left running all the time. Here are a few things to consider before installing the gateway. If you are installing on a laptop, and your laptop is turned off, not connected to the internet, or asleep the gateway won’t work and the data in the cloud service will not be synchronized with your on-premises data. If your machine is connected to a wireless network, the gateway may perform more slowly which will cause it to take longer to synchronize the data in the cloud service with your on-premises data. Once the gateway is installed, you will need to sign in with your work or school account. After you are signed in, you will have the option to configure a new gateway, or to migrate, restore, or take over an existing gateway. Enter a recovery key. This has to be a minimum of 8 characters. The recovery key will be needed if you ever need to migrate, restore or take over a gateway. Be sure to keep this key in a safe place. 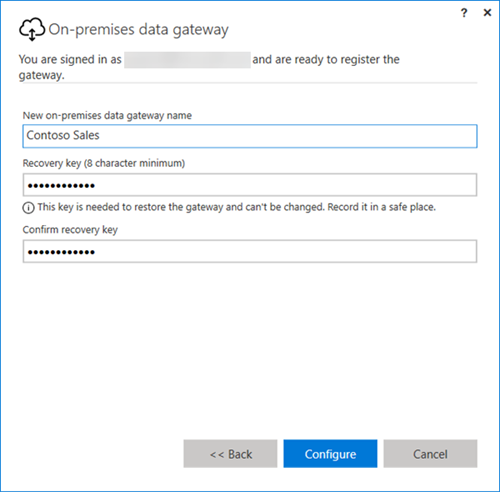 You will need to select the gateway you want to recover and supply the recovery key that was used to first create the gateway. Once the gateway is configured, you will be able to make use of it to connect to on-premises data sources. 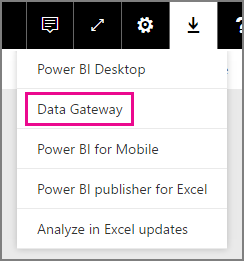 If the gateway is for Power BI, you will need to add your data sources to the gateway within the Power BI service. This is done within the Manage gateways area. You can refer to the manage data sources articles for more information. For PowerApps, you will need to select a gateway for a defined connection for supported data sources. For Flow and Logic Apps, this gateway is ready to be used with your on-premises connections. 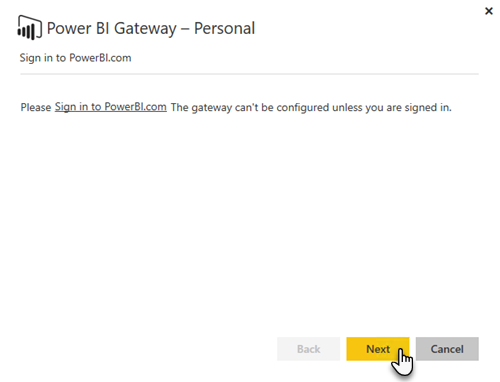 The Personal version of gateway only works with Power BI. 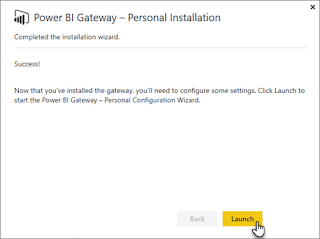 After the personal gateway is installed, you will need to launch the Power BI Gateway - Personal Configuration Wizard. 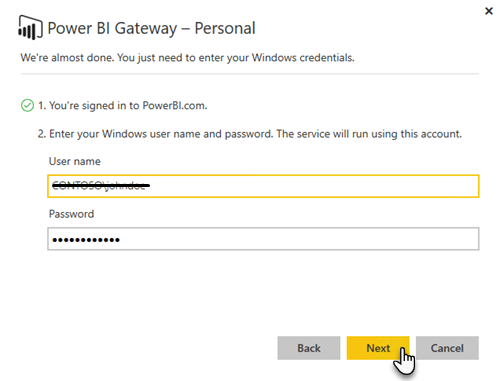 You will then need to sign into Power BI to register the gateway with the cloud service. You will also need to supply the windows user name and password that the windows service will run as. You can specify a different Windows account from your own. The gateway service will run using this account. 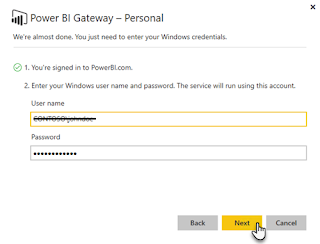 After the installation is complete, you will need to go to your datasets within Power BI and make sure credentials are entered for your on-premises data sources.